What is an ideal event venue in Budapest? Do you organize an event now and then? Would you like to organize an amazing wedding, for example, or maybe you want your clients or colleagues to be impressed by your creativity and good taste of organizing an event? Anyone who has ever had to organize an event – whether it is a class reunion, a team building or a birthday – has been asked for at least a thousand times, what would be eventually the right venue for that even. Anyone who has ever had to organize an event – will know exactly how important is a deliberated selection of a venue for a successful event. After all, a good location is almost equal to a half success. This is one of the basic questions that we have to decide when starting the organization, as we can say with little exaggeration that the other organizational processes will almost come to fruition from itself. We could say that there is no event without a proper venue! So, look around within our boat fleet and choose one from our Budapest event and cruise ship so that at least the selection of the venue will cause no more problem. Depending on the type of event and, at some level, the duration of the event what location should be found for the program to be organized. In addition, we must keep in mind what message we want to share in our event for our guest. Therefore, it is important to pay attention to the more fundamental, more monumental factors besides the napkin color for example. Therefore, for those who want to entertain their guests with a special experience, we strongly recommend the use of our Danube river cruises because they are romantic, exclusive and cozy, offering beautiful views and silence because they are far from the noise of the city and, do not have to say, an event there can be completely private. Private boat rental is also ideal if you are looking for a venue for a loose-minded team building program in Budapest. 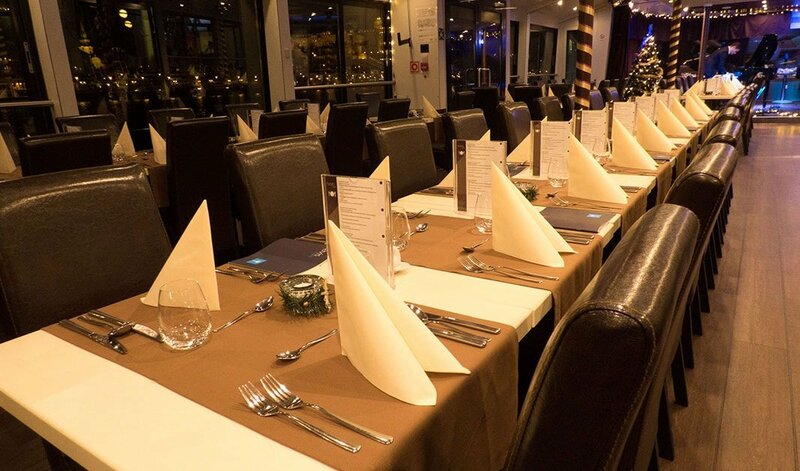 First of all, it is important to take into consideration the possible number of guests, as the boatyard operates with a limited number of people, which is supplemented only by the use of a larger ship. However, in exchange for this small inconvenience, instead of the unanimous, often boring scene and view, we get a breathtakingly exciting landscape, not to mention that it is constantly changing even if it is within or outside a populated settlement. From the point of view of the venue, the prestige value of ships stands out from the simple renting of space, thus giving added value and raising the level of the event. For easy access, the docks are generally accessible, our own dock is near the Erzsébet Bridge, for example, parking is available for those arriving by car and also easy access by public transport - the famous tram #2 with beautiful views is passing by. 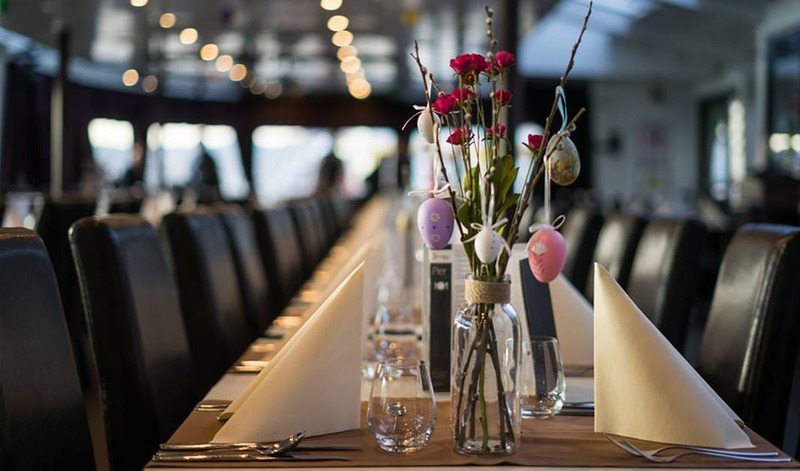 Our boats can meet the demand for countless forms of events, and for the sake of the idea, we list some of the most popular and most sought-after events can be celebrated on cruises. Do you organize multiple events at the same time, or a whole series of events that consist of several occasions, or perhaps a different size guest groups? Request a quote from us for a complete package, where we can arrange for various programs with a variety of event boats, including speedboats and group discounts. Are you planning a wedding and would like it to be special from the proposal until the After Wedding Brunch? Take a look at our offer and choose one from the most likable to celebrate an important momentum of the process on the water or if you want, to make a fantastic water-themed wedding for you. If you are interested in any of our events and cruises, come and try our related program to make sure it will be the right place for you. So you can test the boat, you can decide how much you like the moving venue, how flexible we are for your needs and whether you like our team. And in the end you like our service and choose us, we will deduct the cost of your dinner or sightseeing program (against for the saved ticket) at the end of your boat rental as a present. Our indoor boats are equipped with air conditioning and heating to be ready for any type of weather conditions. It is possible to rent sound technology and other technical equipment.